Product prices and availability are accurate as of 2019-04-20 05:20:07 UTC and are subject to change. Any price and availability information displayed on http://www.amazon.com/ at the time of purchase will apply to the purchase of this product. What We Like About This Bakers Rack The Camelot Bakers Rack is both rustic and sophisticated, poised to bring form and function to kitchen or dining area. 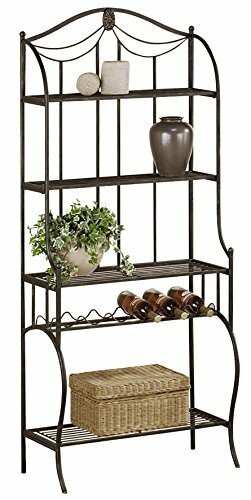 This bakers rack features four open wire shelves, including a handy work space and a six-bottle wine rack to give you versatile storage and service options. 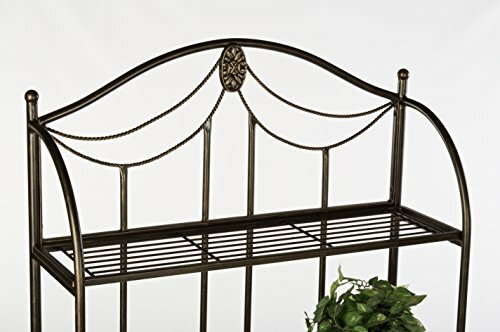 Arched side columns, bowed feet, and a medallion at the top lend a distinctive touch to this elegant bakers rack. 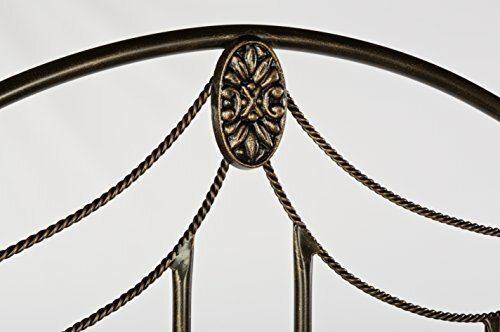 Finished in black and gold, this piece will complement any decor scheme. Shelf dimensions: Top shelf: 30W x 8.5D inches Second shelf: 30W x 8.5D inches Third shelf: 30W x 12.25D inches Bottom shelf: 30W x 12.25D inches Space between shelves: Top shelf to second shelf: 13.25 inches Second shelf to main shelf: 13.75 inches Main shelf to bottom shelf: 23.75 inches About Hillsdale Furniture Located in Louisville, Ky., Hillsdale Furniture is a leader in top-quality, affordable bedroom furniture. Since 1994, Hillsdale has combined the talents of nationally recognized designers and globally accredited factories to bring you furniture styling and design from around the globe. Hillsdale combines the best in finishes, materials, and designs to bring both beauty and value with every piece. The combination of top-quality metal, wood, stone, and leather has given Hillsdale the reputation for leading-edge styling and concepts. 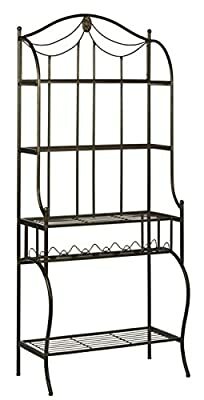 Classic bakers rack stands nearly 6 feet tall4 shelves of versatile storage space. Built-in wine rack holds up to 6 bottles. Durable metal construction. Unique black and gold finish. Arched side columns and bowed feet. Dimensions: 30W x 16D x 71H inches.